2. See dentist Brian McKay right away and get on with life. dentist Brian McKay at Advanced Cosmetic & Laser Dentistry can fix a chipped tooth in a jiffy by determining the right solution and expertly preforming the procedure. Decay, missing teeth, braces, even crowns can impact the course of treatment. We’ve been around since 1997 – serving your neighbors in Seattle and improving smiles for Bellevue patients. 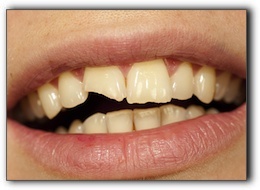 When Seattle residents need cosmetic dentistry, we’ve successfully managed their treatment. When Redmond patients have needed cosmetic dentistry, we’ve watched happy, smiling patients leave our office. And when you need dental implants, we are pleased with the opportunity to make a true believer out of you! We offer dental implants, Invisalign, cosmetic dentistry and teeth whitening. Trust dentist McKay to deliver exceptional results. No panic. No mistakes. No worries. ‹ Dental Problem? There Is Always A Solution!